The Carmel Fire Memorial monument marks the “Carmel Disaster” (“אסון הכרמל”) which occurred on December 2nd 2010. There was the biggest forest fire ever in Israel. 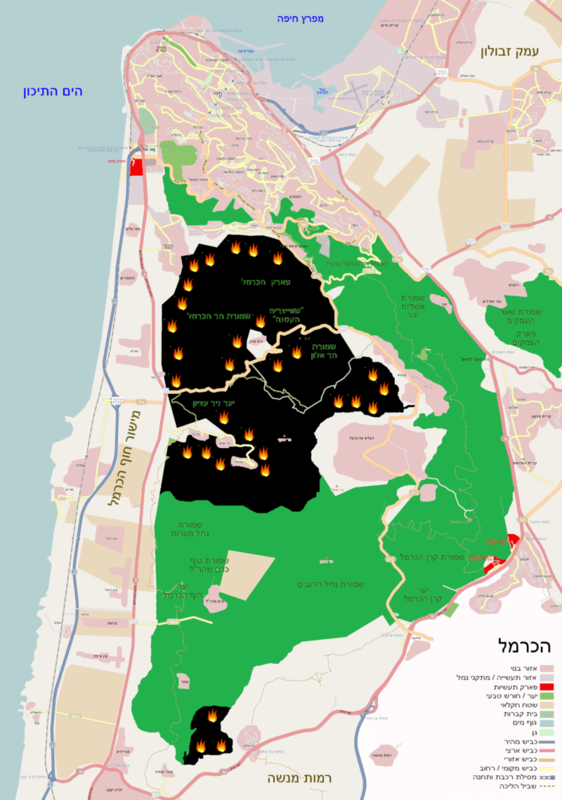 The fire broke out on 2 December 2010 on Mount Carmel near Haifa and spread quickly in the wind. 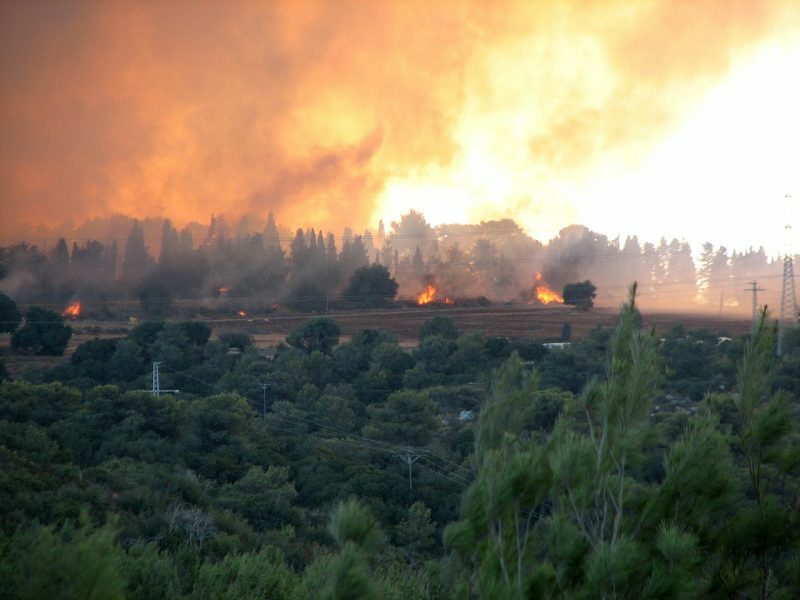 This fire consumed much of the Mediterranean forest in this region and caused a great material damage to Haifa and the nearest villages. 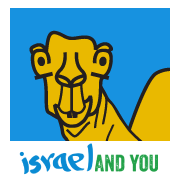 Israel requested and received help from various countries, including the United States, Turkey, Greece, Netherlands, Switzerland, Cyprus, and Russia. Countries that offered help include Azerbaijan, Bulgaria, Croatia, France, Jordan, Romania, Spain with four seaplanes and the United Kingdom who sent two Royal Air Force helicopters. 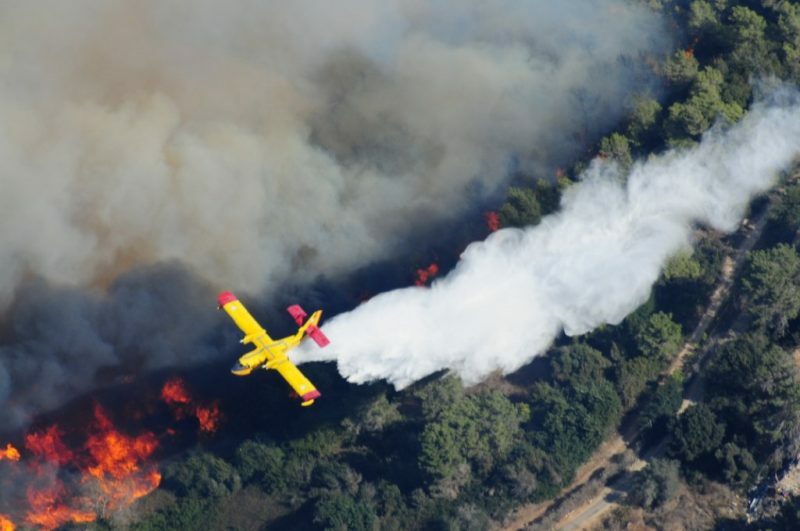 Italy and Egypt also offered firefighting planes. 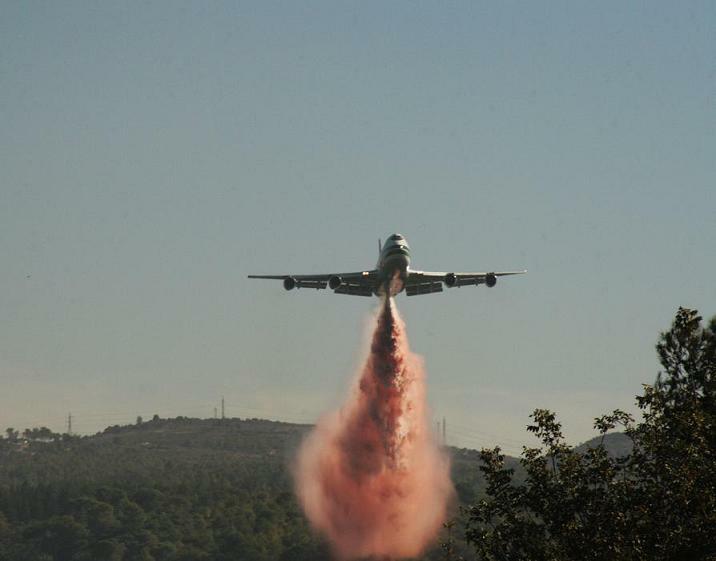 The Israeli government decided to hire Evergreen’s Boeing 747 Supertanker to help extinguish the blaze. The plane landed at Ben Gurion International Airport, took off, and released its first cargo of water. Later in the day it made a second sortie, dropping fire retardant. Palestinian firefighters also joined the efforts in the Carmel Forest. While clearing a local prison, a bus of mostly Israel Prison Service officer cadets was caught in the fire. The most horrible fact is that due to this fire 44 people died. A memorial site in memory of the victims of the fire the Carmel Fire Memorial was placed not far from Kibbutz Beit Oren, where this video was made. Mount Carmel contains large areas of forests, including large numbers of Aleppo pine trees, which are more easily ignited. Israel had been experiencing an unusually warm autumn and dry conditions. The previous spring and summer months were also exceptionally hot. The police announced that a 14-year-old resident of Isfiya admitted to inadvertently starting the fire. The teen told investigators that after smoking a nargila, he threw a lit coal into an open area and was so shocked by the result that he returned to school without telling anyone what he had done.